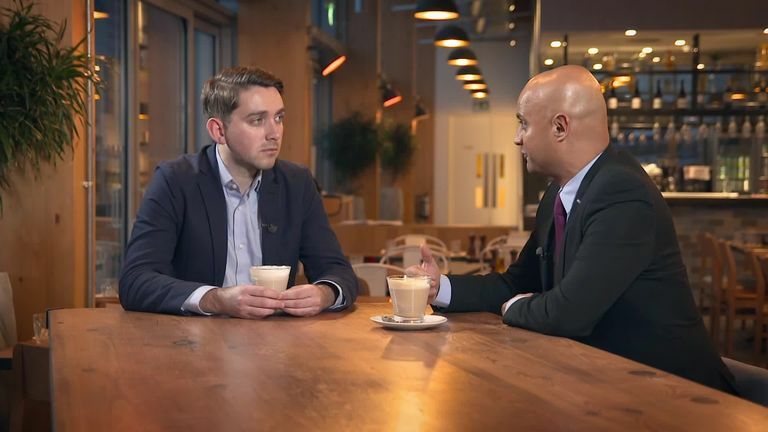 Dharmesh Sheth meets ex-Birmingham recruitment chief Darren Robinson to find out how clubs approach the transfer window. Transfer Centre Extra goes behind the scenes and beyond the headlines as we bring you the story of the window this week. There's unseen footage and more analysis from our team of reporters across the country. Things were looking bleak four years ago for Birmingham City - second from bottom in the Championship, and the team had lost 8-0 at home to Bournemouth. Gary Rowett was appointed in October 2014 and the new boss and his team were charged with turning the side around. There was only one issue with signing players - Birmingham's owner was in prison. Carson Yeung was jailed in March 2014 by a Hong Kong court for money laundering. It meant the staff had few options. Darren Robinson was head of performance and recruitment at the time and he spoke to Transfer Centre Extra, revealing the secrets of the recruiters during the window. "The owner was in prison so we were unable to go and wheel and deal within the transfer market, so it set the parameters quite clearly," Robinson said. "We could only deal in loans, free transfers and out of contract players. It was manager led, so Gary Rowett gave us the key performance indicators of what he was looking for and the scouting department could set off and actually deliver that." Having worked at Huddersfield, Hull and Nottingham Forest, Robinson also revealed some near misses in the transfer market. "Reflecting back, for example, Tammy Abraham," he added. "We identified Tammy (at Birmingham), we really liked him. "We made a pitch into the manager at the time and he was a bit reticent because it would have been his (Abraham's) first loan. "Bristol City acted quite quickly and they benefited because the lad came in and was able to take that step up. "So often, you're looking for that previous history so for Derby and Harry Wilson, it was much easier this season because he had a prior loan experience at Hull." There was also the time that Real Madrid star Gareth Bale could have ended up at the City Ground. "Gareth Bale was on our list at Nottingham Forest as a left-back but that one never happened," he said. "But we did take Chris Gunter on loan from Spurs at that particular time. "There is that element of the wildcard punt so invariably you would generate a list - a marquee signing, a fit for purpose signing, even a wildcard type signing and what you then do is present those propositions to the recruitment department or the decision makers and make your pitch." See more from Darren Robinson on Transfer Centre Extra as he talks about the characteristics that clubs look for in signing players, and the increasing influence of agents and club owners. It's available On Demand now!